"Dear Mr. Hudson - I wanted to express my overwhelming appreciation for your company and your reseller channel support. After a lot of research, I placed an order earlier this year via Shuffleboard.net for a 20’ table with scoreboard for my corporate headquarters here in Jasper, Texas. John was extremely helpful, both over the phone and email regarding his endorsement of Hudson, getting my order organized and such. Very professional. Upon receiving delivery, the installer came out and discovered we had a delivery damage issue with the carrier. A forklift blade had penetrated an end piece of the crate and cracked that end of the table. This started a whole chain of calls, pictures, forms, etc, to insure a legitimate claim could be made. All the while, Hudson agreed to send a replacement while we worked things out. John was amazing with regards to working with me, keeping me informed and meeting a deadline I had related to a Grand Opening event. Given this was a hassle for all parties involved, he never let that show and instead was a great ambassador for Hudson. I just got everything replaced (thank you to the installer's crew for a flawless installation) and the table is operational and we love it. We will be showing this off and complimenting Hudson forever. I can’t thank you enough for taking care of us and for how John handled the whole situation. As a fellow business owner, I know it’s not what you profess about yourself, but rather what others say and I say well done by all." - Chris Lanier, LRG Inc.
"I cannot speak highly enough of Joe and the team at Hudson Shuffleboards. From start to finish, they made our custom table become a reality and the finished product has by far surpassed all our expectations and I highly recommend them. As far as I am concerned, they are the only name in shuffleboards!" "Just a note to say thank you for the excellent service, quality performance and overall wonderful experience of purchasing a shuffleboard from your company. From the quoting process, to manufacture, delivery and installation, all points were made clear and you did what you said you would do, when you would do it. That is becoming increasingly rare in our world today. Everyone I dealt with was terrific. From yourself, to Joe, to Glen Tubbs the installer, everyone did a very professional job. The table is level, and Glen showed me how to properly clean and prepare my board. He worked quickly and effectively to get the job done correctly and in a timely fashion. I have three kids at home (ages 12, 9 and 6) who absolutely love the table. 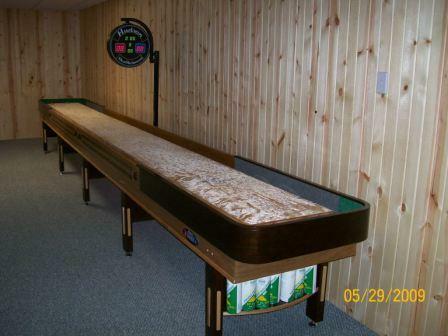 Our basement is filled with such things as a pool table, video game machines, TV’s, DVD’s, a popcorn maker, refrigerators, etc., and the thing that gets used the most by far is the shuffleboard. And it looks terrific! After much deliberation, my wife and I chose the “Berkeley” style shuffleboard from your website, and we couldn’t be happier with the look and feel of the shuffleboard. If fits right in with our basement. Attached is a picture." 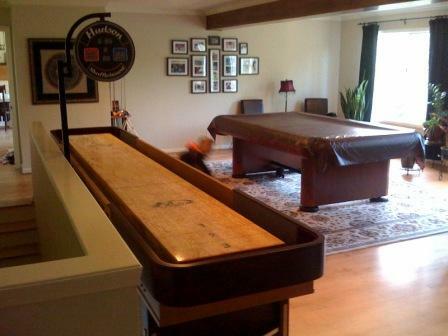 "I love my new beautiful Hudson Shuffleboard. I shopped online extensively but could not find one to match my new southwestern game room / bar. After I stumbled upon their site I found the beautiful "Torino" model and I was sold. On my first call I was able to speak to Will Hudson myself to fully customize my order to match the room wood and decor of the room. He was always a pleasure to deal with and the end product is absolutely beautiful. And so much fun!!! It gets a great deal more attention than our pool table ever did." "We are so excited that our shuffleboard table has finally arrived. It is so beautiful that my husband refers to it as a "fine piece of furniture" and all of our friends are extremely impressed by its workmanship. It did take several "silver-haired" neighbors to assist with unloading it from the delivery truck, de-crating, and moving it into our new game room but, despite their age, they managed to get it moved and assembled in a few hours. I did a lot of research beforehand and decided that Hudson Shuffleboards was the only way to go. 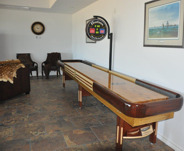 Our game room was designed with your shuffleboard table in mind and we are extremely pleased with the merchandise. We were thrilled that the table colors coordinate perfectly with the rest of our furniture! Will, thank you for your personal involvement with this order. We have attached a few photos of the assembled table; please feel free to use them as you see fit. Ralph and I look forward to many hours of play time with our family and friends." "Will, thanks for the beer! We unloaded the truck Thursday and overall packaging was done well. We have played at least a hundred times. The best thing about having a Hudson Shuffleboard is that our whole family and friends can enjoy playing it. Our teens stay here with friends and play instead of "roaming" around, and that is huge to us!! We have had quite a few people come to look at the unit and I am quite pleased with everything. It was really nice to deal with someone who cares. You are very professional. Glad to have talked to the man with the name on the board; not many people can say that. I am so glad I bought yours instead of the big corporate national run of the mill boards." What an awesome product, fabulous price and great weekend project that you get to use your tools, talent and friends to assemble. Once back at the house and following your written instructions, assembly was a breeze. (Definitely 3 to 4 guys or some really buff chicks to handle the weight)! Taking care not to damage anything and slow is fast when you do it once carefully! Game room empty waiting for new Hudson board, Board being assembled (two six packs) & Board ready for play! Thanks again for the professionalism your company offers and my game room has never had more giggles and good memories than the first day the board was ready for play!" Just letting you know that I received the shuffleboard and accessories by the final week of February...all in tack and accounted for. Thank you so much for your help, excellent customer service, and quality product!" "Hey Will, My board is installed and working like a champ. My wife, kids and friends that have played all love it. And thanks for the bottle, it made the first games all that much better. I think Apollo Pools here in town should carry your boards. They carry nice Brunswick pool tables and crappy Champion Shuffleboards. They give to local charities and are good guys in general. Just a thought. All the best, when I figure out how to fit a 22 footer into our game room I’ll give you a call. "Thank you for the professional installation of my new Hudson Shuffleboard table. You guys did a great job - the installation was perfect and I very much appreciate your guidance on how to get the most from my investment. You get my highest recommendation!" "Rarely have I experienced customer service and quality at the level of Hudson. 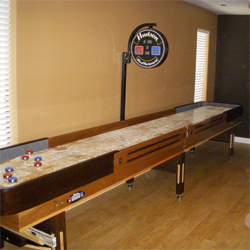 The shuffleboard table is gorgeous, and the process of getting it delivered and installed was actually a pleasure. They took care of every detail and checked, and double-checked everything. 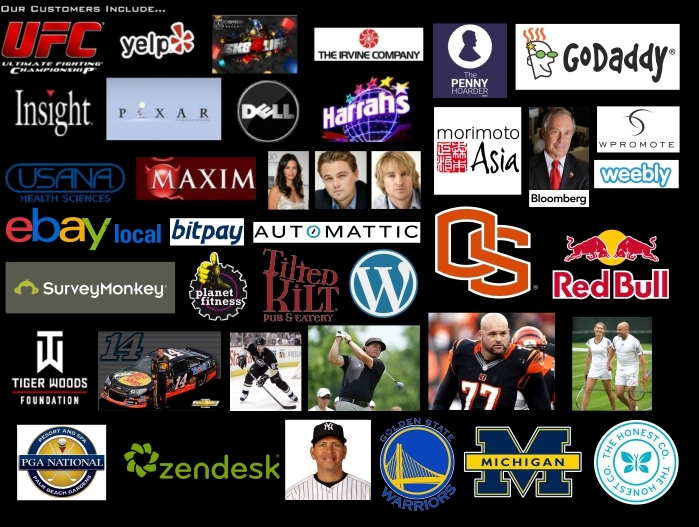 I highly, highly recommend this company." "Hello from Post 587! Wanted to pass on to you what fun the members are having with the shuffleboard that we purchased from Hudson last year. The Clubhouse now has monthly tournaments which have been running for two consecutive nights. 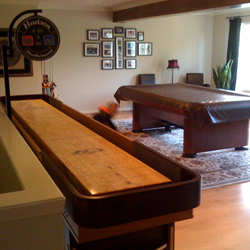 Clubhouse guests are impressed that not only do we have board, but also the quality of our shuffleboard. Thanks again for helping the Post Clubhouse with this purchase." "I would like to express my thanks to Hudson Shuffleboards and specifically Will Hudson for an overwhelmingly enjoyable transaction. Hudson Shuffleboards provided me and my family a shuffleboard that matches other quality shuffleboards at nearly half the price. They facilitated the delivery process with extreme care and made certain that we received what was expected. And that we did! My first attempt to puchase a shuffleboard occurred earlier in the year when the company (not to be named) failed to meet the promised delivery time, as well as a subsequent request to increase the published price by an additional $900. After three months of agonizing frustration, I asked for intervention from our state's attorney general (and Mastercard). Only then did I receive a refund. As you can imagine, I was very apprehensive about working with another dealer. Shortly after my previous experience, Will Hudson offered me a proposal I couldn't refuse. 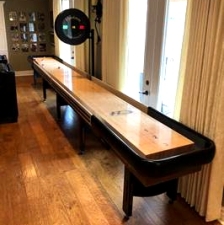 He not only offered our 18' shuffleboard at a fantastic price, but also included other essentials in order for our family to play as soon as it was installed. I strongly encourage anyone to consider purchasing from Hudson Shuffleboards. This was a great experience." "I love my new Hudson Shuffleboard. I decided to get a Hudson Shuffleboard for my game room and could not be happier. It’s great, my friends and I no longer have to go out in town to find a bar with a shuffleboard, I have one right in my own home. I would absolutely recommend Hudson Shuffleboards to anyone. I was able to get all my questions answered and the shipping was no problem at all. The shuffleboard looks and works awesome and the price on the 22’ Grand Hudson was quite a bit lower than anywhere else I could find. Thanks Hudson Shuffleboards." "I love my new Hudson Shuffleboard. Just a note to say thank you for the excellent service, quality performance and overall wonderful experience of purchasing a shuffleboard from your company. From the quoting process, to manufacture, delivery and installation, all points were made clear and you did what you said you would do, when you would do it. That is becoming increasingly rare in our world today. " 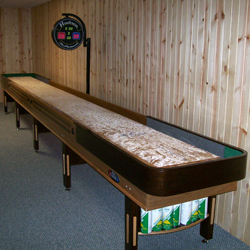 "My family and I have been very pleased with our new shuffleboard. The setup was easier than I had anticipated with good instructions. We have a lot of company in our game room and the shuffleboard by far gets the most play! 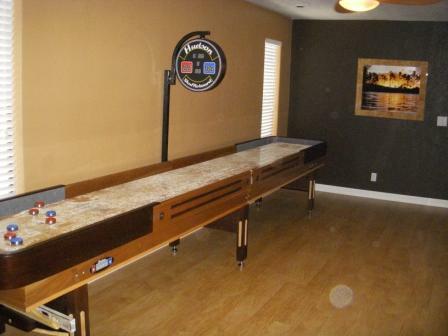 I’ve had people say this even looks as good if not better than their shuffleboard that they paid more than twice for. Thank you for the great service and quality board!" "My family and friends LOVE the table! This was a great investment and was the best value by far. I did much research before purchasing my 22 foot table and Hudson Shuffleboards is the only place to make such a purchase! The climatic controllers have my board playing perfectly. I saved thousands by purchasing my table here. I highly recommend this seller!" "There's no questions why Hudson Shuffleboards is the fastest growing shuffleboard company around. I spoke directly to the owner and he (Will) helped me from start to finish. I was completely comfortable making this large purchase. 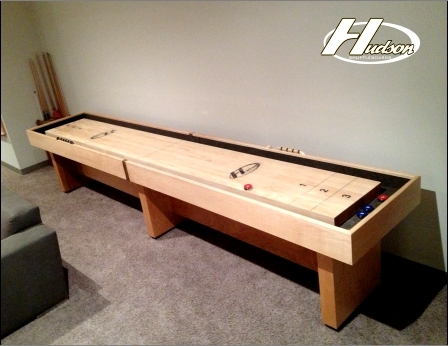 Now my family will have years of fun and enjoyment, thanks to Will and the rest of the crew at Hudson Shuffleboards!" "Since the day I started playing the game, I always told myself that the first thing I’d get when I was a homeowner would be a shuffleboard. Before I started my search for a shuffleboard, my knowledge of them was limited; I didn’t know where to find the best ones, but I knew my buddies and I had a blast every time we were lucky enough to find a bar that had one! So I did a lot of research and went to numerous stores that carried them. The thought of spending $5,000+ on an average looking board at best made me sick to my stomach. After more and more research, I finally found exactly what I was looking for at Hudson Shuffleboards. The quality and price seemed too good to be true. I asked Will a million questions and was relieved to hear his sincerity and assurance in each answer. The level of comfort I felt from him has confirmed that such a price wasn’t too good to be true and has also compelled me to spread the word as much as possible. The shipping went as smoothly as I could’ve asked for. The quality of the board, cradle, scoreboard and playfield is, without a doubt, second to none. The price cannot be beat…period!!!!!!! My new home is now complete with my Hudson Shuffleboard. THANK YOU!!!"